In the world of high stakes poker, Remi Bellerive is the undisputed champion, his name renowned in gaming circles. 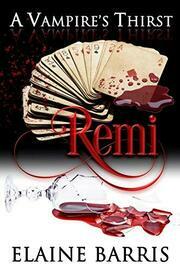 With his lover, Michelle, at his side, Remi is living his vampire life according to his rules with no apology. His nemesis, TripleAce, however, has other ideas, and plans to use his lucky charm to unseat Remi at the upcoming live poker tournament. Filled with envy and jealousy of Remi’s fame and standing, TripleAce is dead set on defeating Remi by any means necessary. After being drawn into TripleAce’s dark world and seeing firsthand the despicable things he’s capable of, Sophie is desperate to escape. Though scared of what his henchman, Hans, will do to her if she’s caught, the terror of living and dying at his whims spurs Sophie to jump at the only chance she has of running away. Amidst this backdrop, a rash of murders has drawn the attention of The Directive, a mysterious collective that polices all supernaturals, and holds them to account for any wrongdoing. Magno Zara has dispatched his lead investigator, Clarence Collins, and his second in command, Jana Noskova, to team up with New Orleans local, Ethan Boudreaux, to locate and bring to justice those responsible for the crimes. 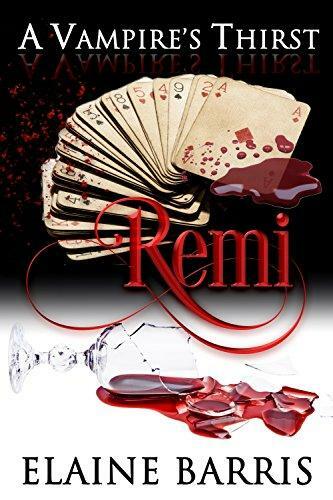 A strange affliction, an overwhelming thirst has hit Remi, causing his desire for blood to increase to astounding proportions, placing the human woman he cares for in dire danger. Is Remi to blame for the killings? Has the Thirst turned him into a vampire gone rogue? Or, has he discovered something he wasn’t looking for… his bloodmate?